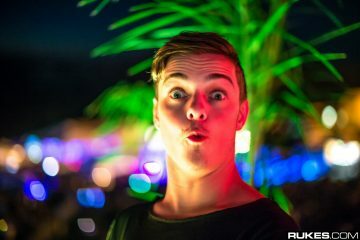 It baffles me to say that this year’s Ultra Music Festival is another piece of evidence that proves that this event is the premiere event of electronic dance music. Every year since the 15th edition in 2013, I have entertained low expectations of subsequent lineups only to have them smashed into smithereens. 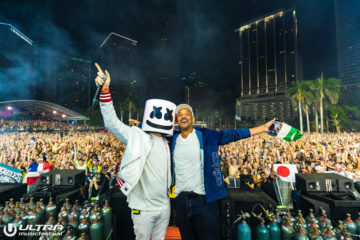 Aside from the powerhouse performances from the best electronic music has to offer, Ultra brings out some of the most relevant and interesting acts in hip-hop, rock, and pop. After three days of partying, dancing, and jamming, here are our 10 best sets from Ultra Music Festival – from those of us who were there. 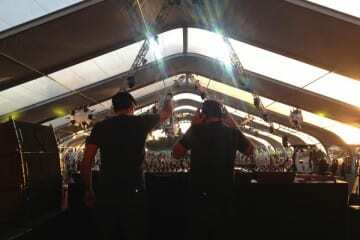 The duo from South Africa always bring a form positive energy whenever their in command of any stage. With their keyboards, saxophone and launchpad, Goldfish took their outstanding showmanship and owned the Live Stage for two hours. For fans who were ready to dance early Sunday afternoon, this was best set to warm you up to the rest of the day. But soon, these guys can be the best headlining acts in the festival circuit. 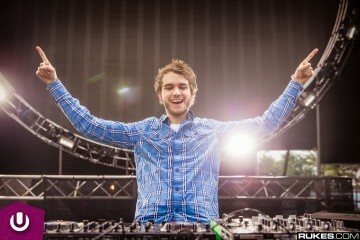 The German-Russian producer, DJ, and pop star Zedd took to the Main Stage at UMF performing similarly to his 2013 performance. In the four years since that appearance, however, he has evolved and sharpened his sets to be larger than the man behind them. 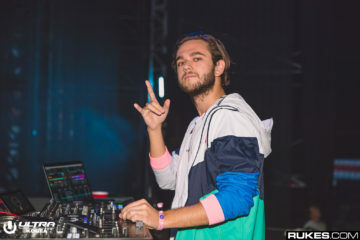 Bringing out collaborator and singer Alessia Cara and playing old gems laced with unreleased tracks, Zedd further proves to his peers that he deserves to be a headliner for any of the three days of UMF. For context, I have been awfully cross with Mr. Solveig regarding what he’s done since his last album Smash. Although he delivered incredible singles such as “Intoxicated” with GTA and “Do It Right”, he never brought a follow-up idea to that album that came out over seven years ago. But what Martin lacks in physical releases, he makes up for in his DJ sets and his Ultra set Saturday afternoon displays that quality. But his set took the cake after playing a mix of the Dillon Francis & NGHTMRE collaboration “Need You” and featuring legendary melodies from Gesaffelstein, M83, Daft Punk, Swedish House Mafia, Justice, and more. The spiritual leader of electronic music has come a long way that have all led up to this moment. Quickly climbing up the ladder of time slots throughout Ultra’s last three years, Tchami took his time to showcase a new side of his DJ set prowess for the main stage while showcasing music from his label Confession and IDs from JOYRYDE and Valentino Khan. But beyond the collar around his neck, Tchami used music to turn the crowd up while emphasizing a supernatural atmosphere through dance. 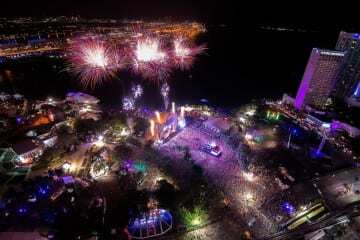 More importantly, Tchami established himself as a main stage act for the rest of his career. Daniel Pearce went into his set at Arcadia with the mind set of playing a “proper techno set.” After the Arcadia Landing Show (a must-see acrobatic performance that combines Cirque-Du-Soleil with electronic music), Eats Everything kicked off with his remix of the Green Velvet classic “Flash” where the crowd erupted into non-stop dancing. 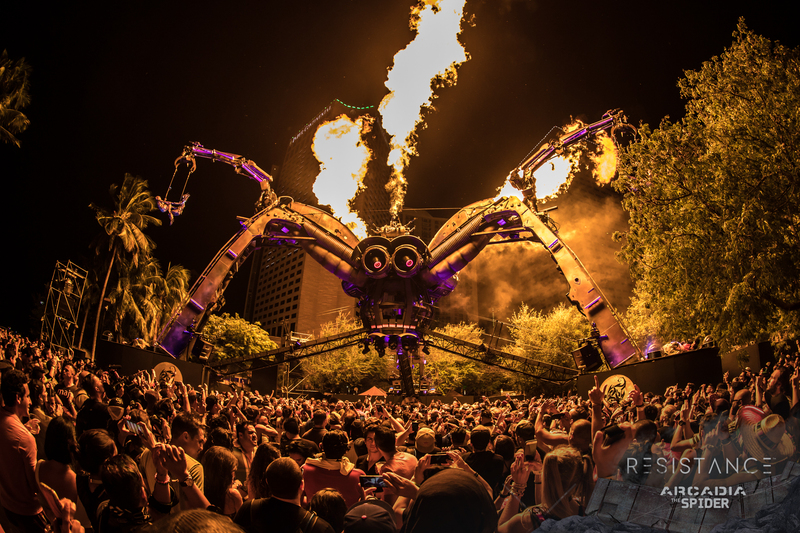 As the Arcadia Stage’s “spider” looked down and around over the crowd in ominous fashion, Eats Everything threw down an hour of blissful vibrations beat after beat after beat. Last year’s soul-crushing news of the Prodigy’s circumstances that barred them from making their UMF performance last year became the hype train for their appearance this year. Would they make it or elude the Miami crowd once again? The answer is that they owned that stage with such ferocity and gusto that it made their career defining tracks like “Breathe”, “Invaders Must Die”, and “Take Me to the Hospital” sound bigger and punchier. What’s so special about the Prodigy is that they bring an unorthodox fusion of the unapologetic punk style with the backbone of electronic production. As someone who had never seen them live before, it makes sense why they are one of the greatest performances to see live. The most gripping set from the Worldwide Stage went to a twenty-one year-old producer from from Ontario known to her fans as REZZ. Isabelle Rezazadeh came up in front of hundreds of people after hosting her own event at Hangar during Miami Music Week packed with fans of her dark twist on techno and mid-tempo. And in REZZ fashion, her Ultra set contained a majority of tracks by her while featuring music from deadmau5, Marilyn Manson, and Zeds Dead. Mark my words, REZZ will become a household act at every major music festival over the next two years. Hearing the Grammy-winning music of Steven Zhu live was an experience that every person needs to see at some point in their life. His set-up for his performance was one of the sleekest with Steven behind a table with his logo as he sung and controlled the crowd while a guitarist and saxophonist stood by opposite sides of the main man. When they were not in use, ZHU’s two-man band would turn their backs towards the audience as a white light and smoke surrounded their silhouettes. Hearing his remixes of “Bad & Boujee” by Migos and “Andromeda” by the Gorillaz were some of the most surprisingly superior moments of the whole music festival. 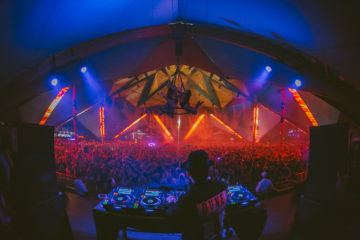 The Live Stage carried some of the most special performances at Ultra Music Festival and this reason is highlighted in acts like ZHU, the Prodigy, Ice Cube, A$AP Ferg, Goldfish, Barclay Crenshaw, and more. 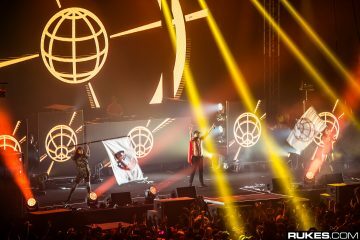 But all other acts paled in comparison to the Ed Banger Records French duo Justice with their new stage design and live musical edits. In a lot of ways, I keep comparing Justice’s latest activity to Daft Punk after the release of Human After All. Much like Daft Punk, many critics were not impressed with Justice’s third album Woman citing how they are straying away from what made their debut album † (Cross) so groundbreaking. 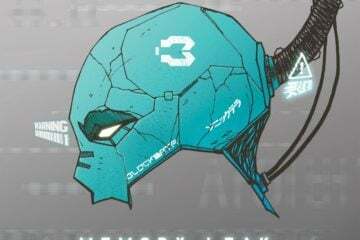 What Daft Punk did to combat this issue was to perform one of the greatest performances of all time at Coachella 2007 which is what Justice did at Ultra’s Live Stage. Hearing the acapella to “Love S.O.S.” over songs like “Canon” or the live version of “Stress” combined with the moving LED lights above them, finding out that the amps on stage are also LED lights, and the synchronized motions between Xavier and Gaspard totaled to an hour of electronic and rock serenity. If you can find Justice performing in your city, do not hesitate to experience the best shows of 2017.